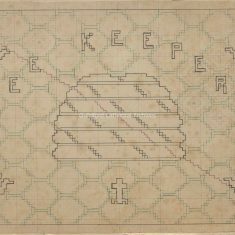 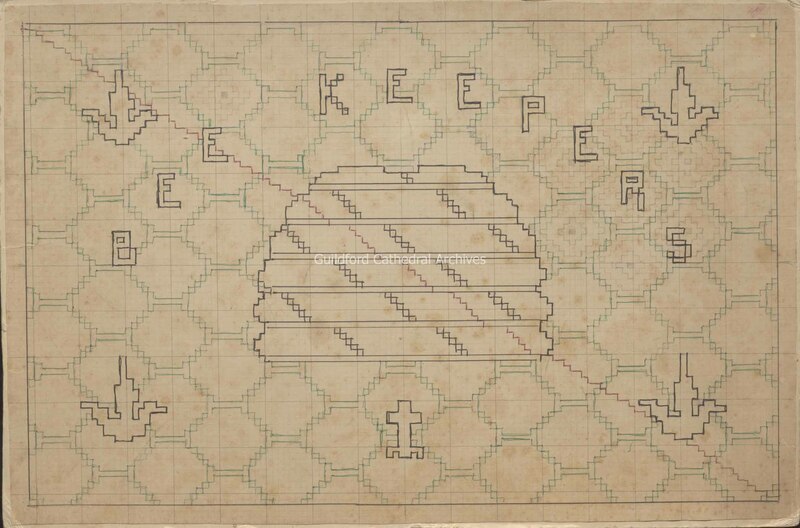 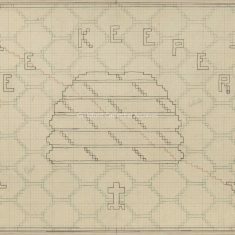 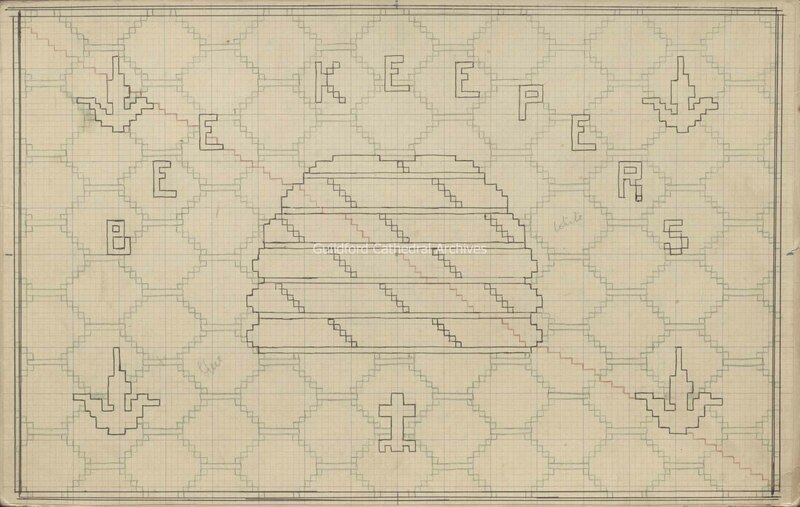 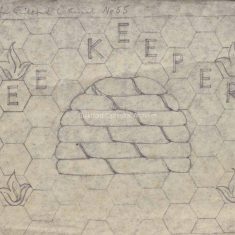 5 patterns for the Bee Keepers Kneelers, two on paper and three on card. 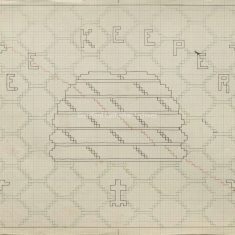 a) is a rough painted design in watercolours, b) is a copy of a pencil outline drawing on paper, signed by Edward Maufe, c) is a pen and coloured pencil outline drawing on squared paper, d) is a pen and coloured pencil outline drawing on squared paper backed to card, with pencil annotations for colours, e) is another pen outline drawing in black, green and red on squared paper backed to card with some extra detail added in pencil. 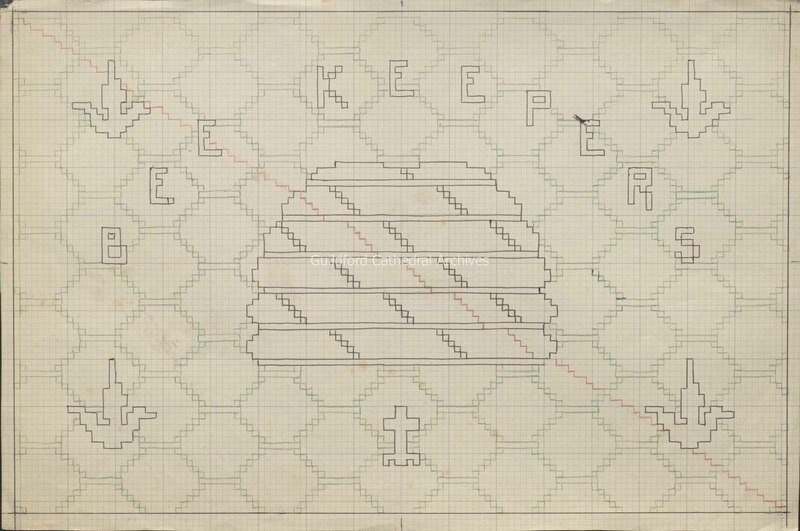 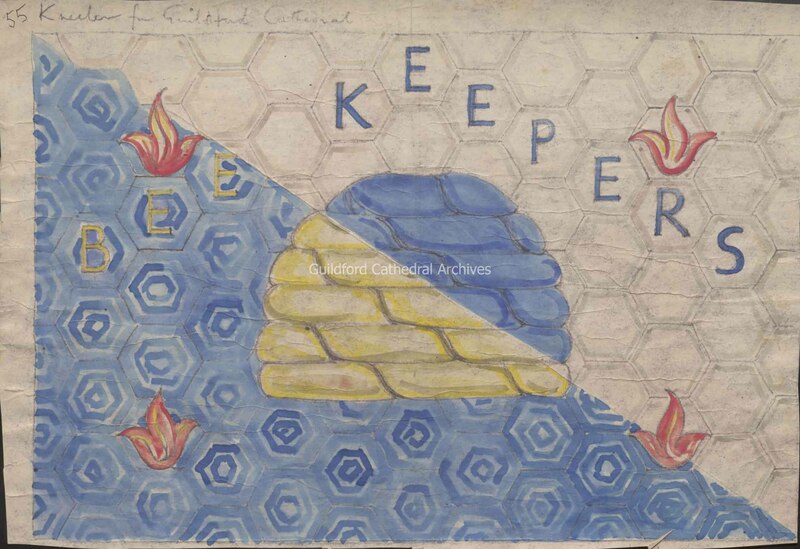 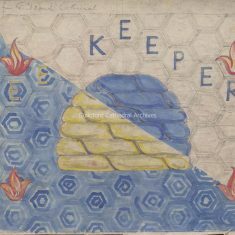 The design depicts a beehive as the central motif with the words “Bee Keepers” at the top and flame motifs around. 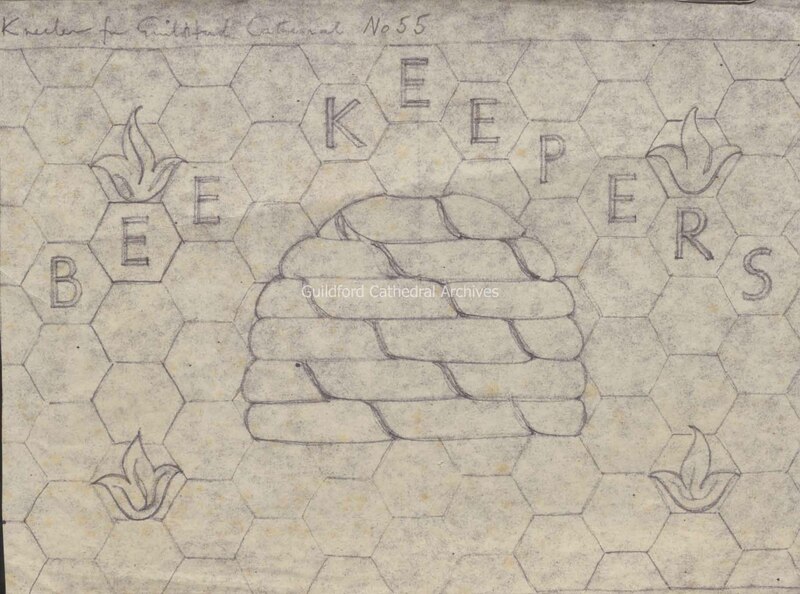 The background is a honeycomb pattern.